The online adtech ecosystem is in the middle of a fundamental shift in the way it conducts user targeting. With the amount of user intelligence and precision location technology capabilities available today, combined with an audience that is increasingly more receptive to relevant messaging, advertisers need to have a plan. What’s the most plausible way to successfully transition from the “okay” strategy of today to the advanced targeting of tomorrow? 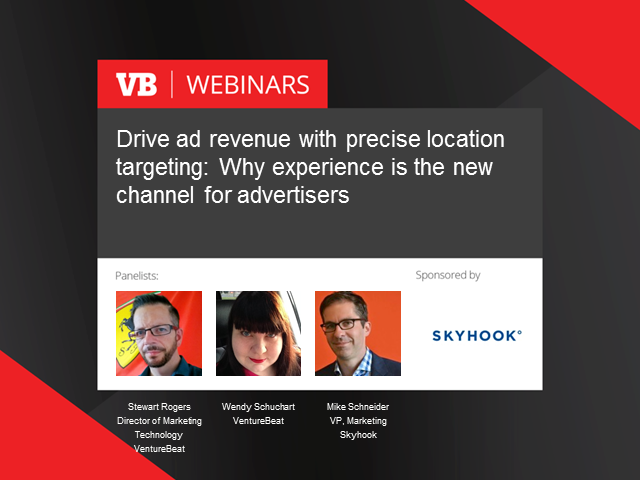 Join us as we take a deeper dive into understanding the complete view of location and how you can use context to take your audience targeting to the next level. * Get new insight into the adtech ecosystem's current migration in user targeting. * Hear new strategies for planning relevant messaging to target your ideal customer. * Learn how user intelligence and precision location targeting is the key to build a robust marketing strategy. Register today for this live interactive roundtable discussion.